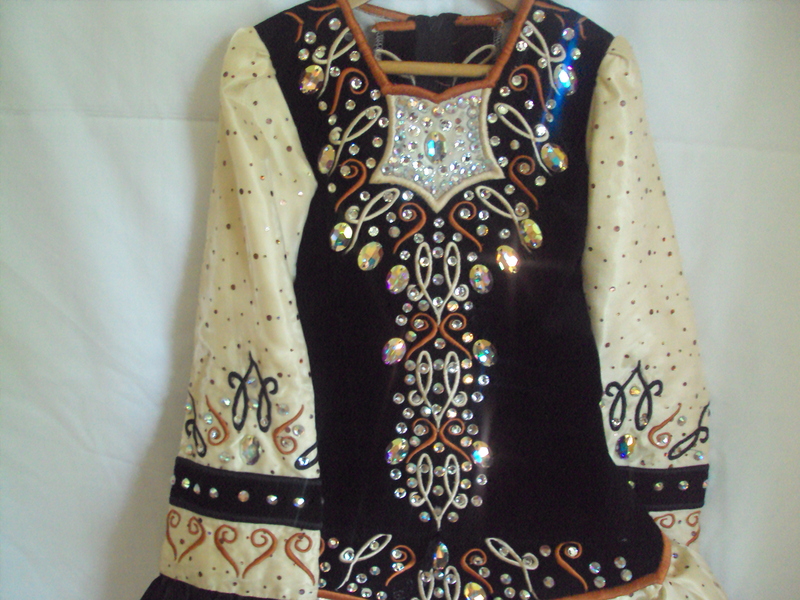 Stunning Shauna Shiels championship dress for sale. 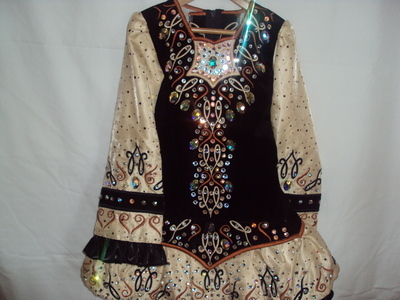 It has a black bodice with cream/gold sleeves and a lovely soft cream/gold skirt. 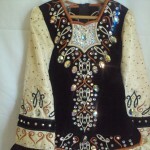 There is lots of rust and gold threading in the embroidery and the skirt and bodice is full of embroidery. 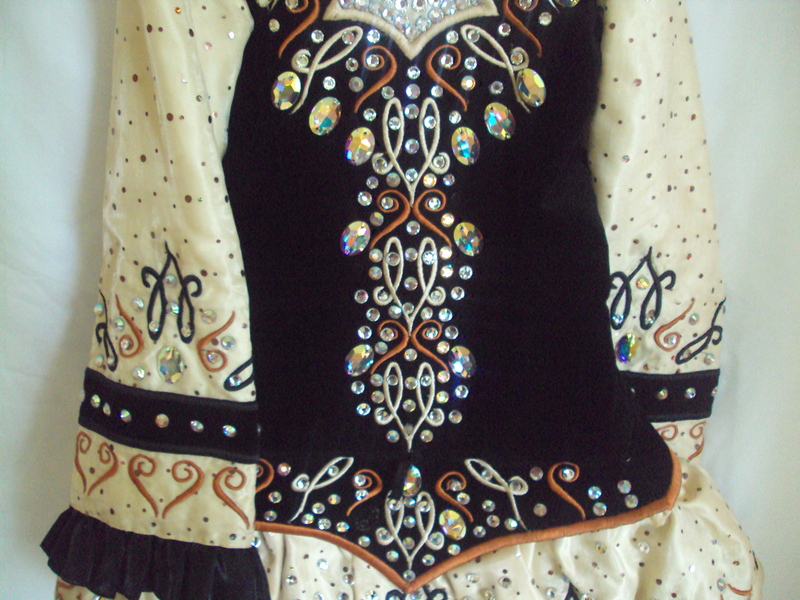 The dress and skirt is literally covered in diamonds both large and small ones. 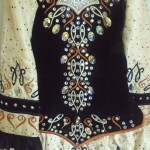 The dress has a great stage presence and can be seen sparkling at the bottowm of a large hall. There is plenty of room to let out. Asking Price: €600. Shipping costs are not included in the asking price. Sale is final.